Oklahoma Connection | Smith was born in Oklahoma City, Oklahoma. In 1954, young Lt. Lee Allan Smith was asked by King Idris to open a zoo on Wheelus Air Force Base in North Africa. He was presented a Dorcas Gazelle by King Idris to add to a menagerie of animals he’d been collecting from the countryside near the base. Oklahoma native Lee Allan Smith graduated from the University of Oklahoma and began his career in radio and television production as a salesman when he joined Gaylord Broadcasting Company’s WKY Radio/TV. He eventually became president and general manager of KTVY (formerly WKY and currently KFOR) television. Smith produced the Stars and Stripes Show, which was televised nationally and often featured Bob Hope and a cast of celebrities and national sports figures. He was the project chair for the building of Aquaticus at the Oklahoma City Zoo and as president of Oklahoma Centennial Sports, Inc., brought the U.S. Olympic Festival to Oklahoma in 1989. Smith launched the “Festival of the Horse” in 1990, and only a year later the event was named among the top 100 attractions in North America. Known as “Mr. 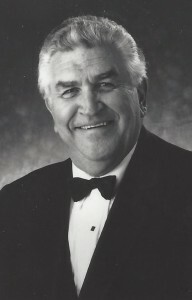 Oklahoma City,” Smith is president of OK Events, was named “Oklahoman of the Year” in 1990, presided over the grand re-opening of Oklahoma City’s Civic Center Music Hall in 2001 and was co-chairman of Oklahoma’s 2007 Centennial Events. See pictures of Lee Allan Smith and other media HERE.